Please note that you may need to speak with your IT department before performing some of these tests and always make sure you consult with them before making any changes to your settings. Remember, the license manager cannot issue licenses to clients running a version newer than the manager itself. It can issue older licenses, so with any upgrade, the license manager can be upgraded early to avoid issues. The first thing to know is if the connection problem applies to all users or just a handful. If no one can get a license, the problem is usually at the server. 1. 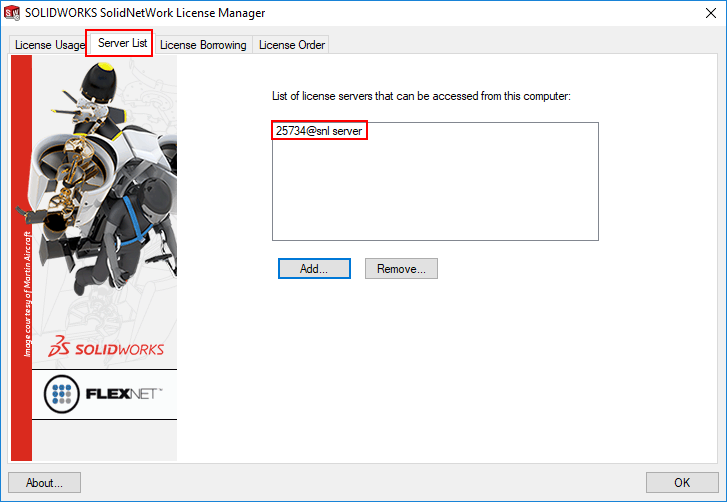 Is the license manager installed and issuing licenses on the server? Make sure the latest version of the license manager is installed and activated. A firewall on the server is the number one reason users can't get a license. For additional security, using a firewall is great for protection. However, it may cause a roadblock for the SNL manager. We recommend you enable the selection ‘A firewall is in use on this server’ when activating the license manager. This opens an extra port for in/out communication through a firewall (the Vendor Daemon Port Number shown at the bottom). This does not affect anything if a firewall is not in use, therefore, it is best to have this box checked. In addition, the firewall could be blocking the port numbers required for SNL manager access. If you can, try turning off the firewall on the server as a test. If the connection works with the firewall disabled, then exceptions need to be added to the firewall for the ports in the image above. It is recommended to add inbound rules for port numbers ‘25734’ and ‘25735’, and sometimes ‘25744’ to the exceptions list. Exceptions for the lmgrd.exe and sw_d.exe may also be needed. If some users are working without problems then the server itself should not be the problem. In this case, we will need to look at the user end. There may be times that the issue does not stem from SOLIDWORKS or the SNL manager, but instead from external problems, like hardware or server connections. The easiest way to check for this is by using a ping test. This can also help you see if the client machine is communicating with the server. For successful ping tests, you’ll see the replies for each packet sent in the test. A Windows ping test will typically send 4 packets. This is great for troubleshooting typical latency issues. If the ping test returned results, then that means that your computer can connect to the server. Telnet is a useful network protocol to test the connection to a server and find out if a specific port is open. In regards to the SNL manager; it’s great for testing if the ports ‘25734’ or ‘25735’ are open. To perform a Telnet test, the Telnet Client needs to be turned on. To do this, go to the Control Panel > Programs and turn windows features on or off. 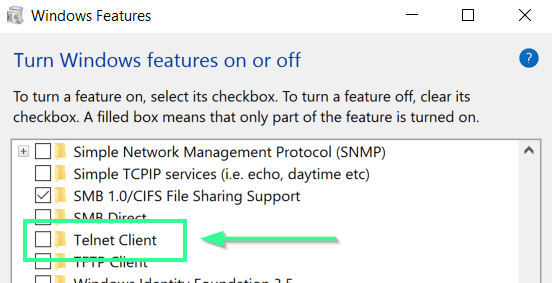 In the list of windows features, check the box beside Telnet Client to enable the feature. Next, launch the Command prompt and type in the command telnet, followed by a space then the server name, followed by another space and then the port number. This should look like: telnet host_name port_number (see image below for example). Press Enter to perform the Telnet. If the Telnet succeeds, the prompt will display a flashing cursor. If it fails, it will report that it cannot open the connection. Double-click on the string SW_D_LICENSE_FILE and make sure the server name is correct. Otherwise, overwrite the server name (25734@server_name). *Check with IT before making this change. 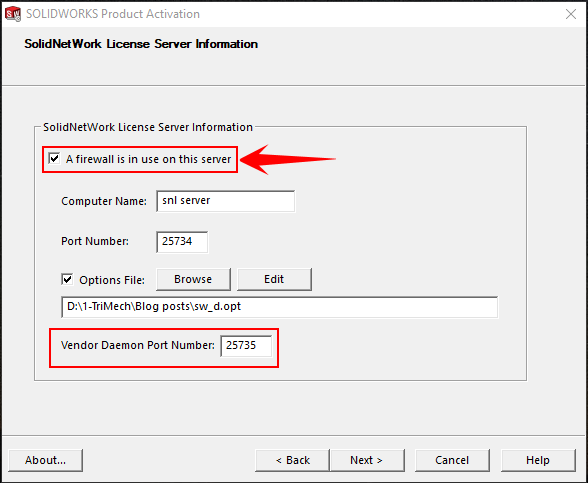 These tests should trouble shoot any issues that may arise when connecting to the SOLIDWORKS SolidNetwork License (SNL) manager. If you have further questions, contact TriMech Support.